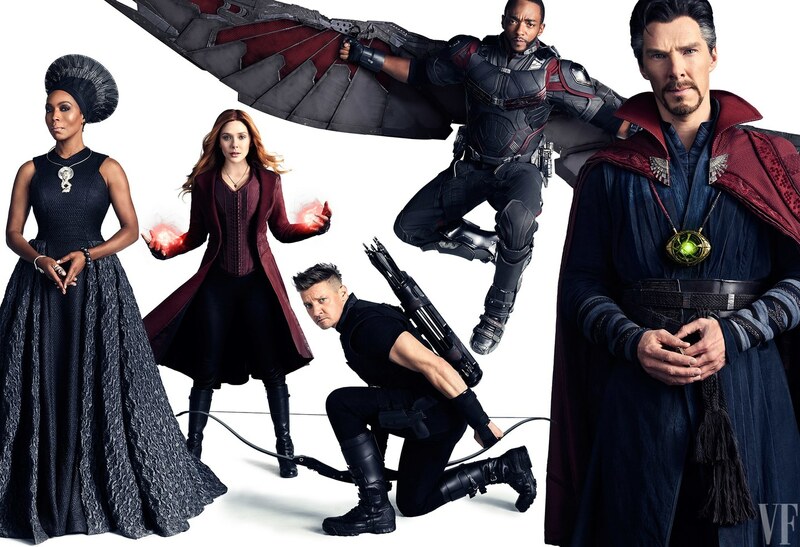 Directed by Joe and Anthony Russo, Marvel’s Avengers: Infinity War opens May 4, 2018. 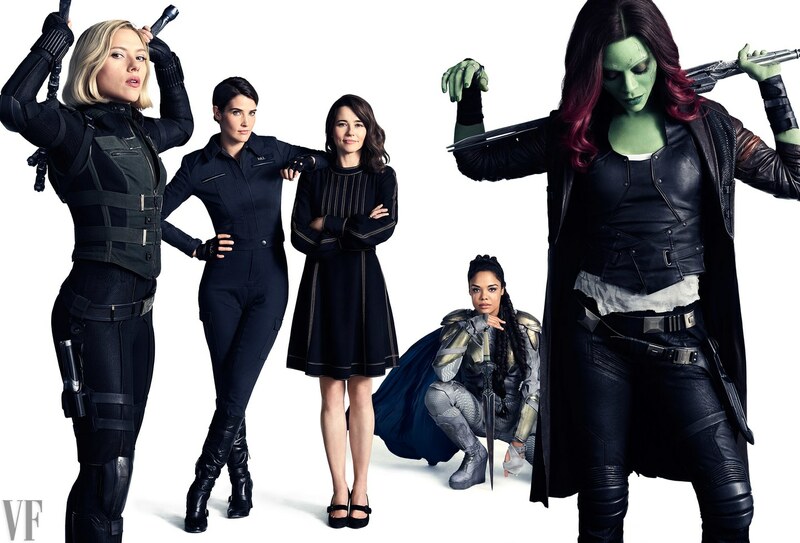 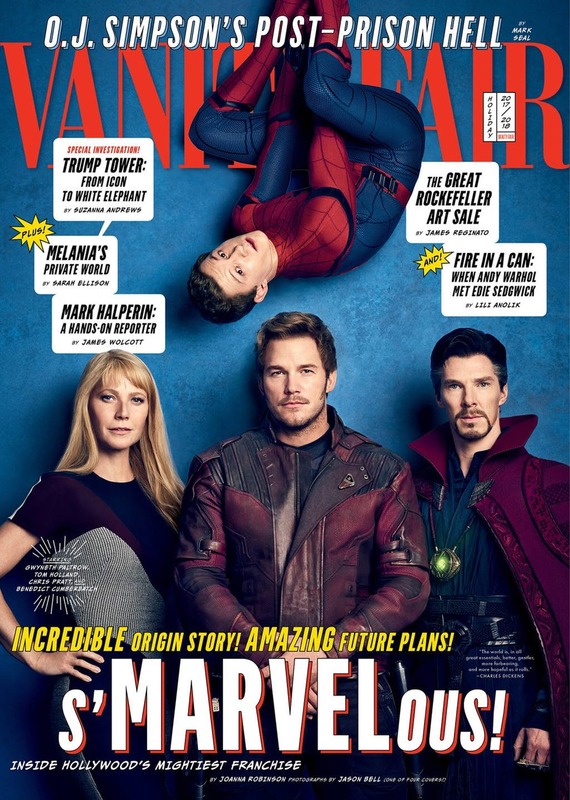 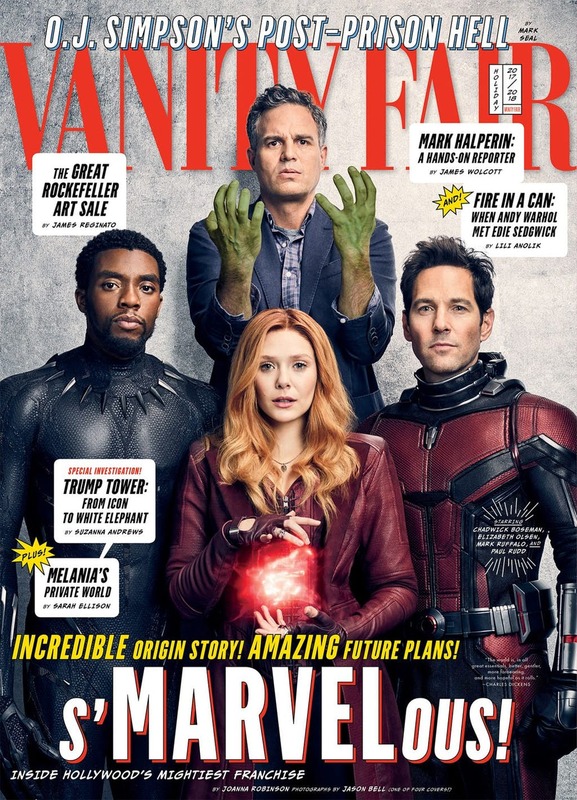 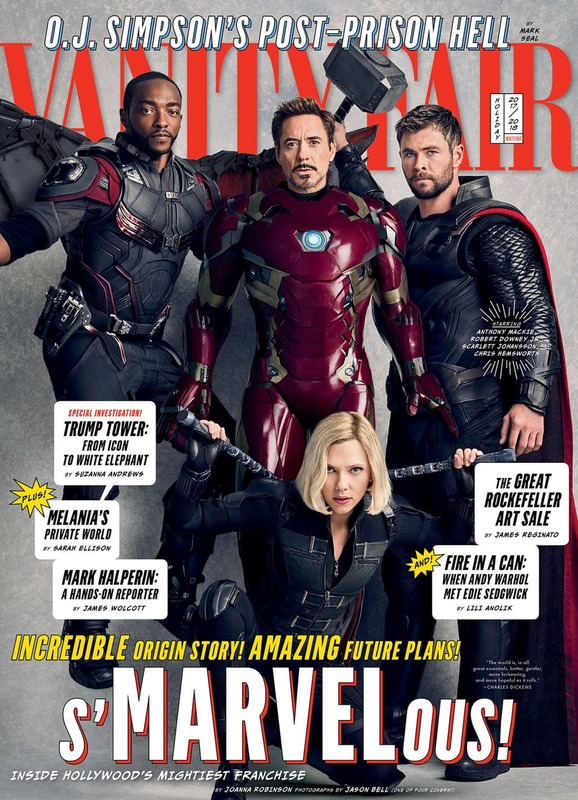 For now, you can catch the The Avengers, and their allies, on four Vanity Fair covers. 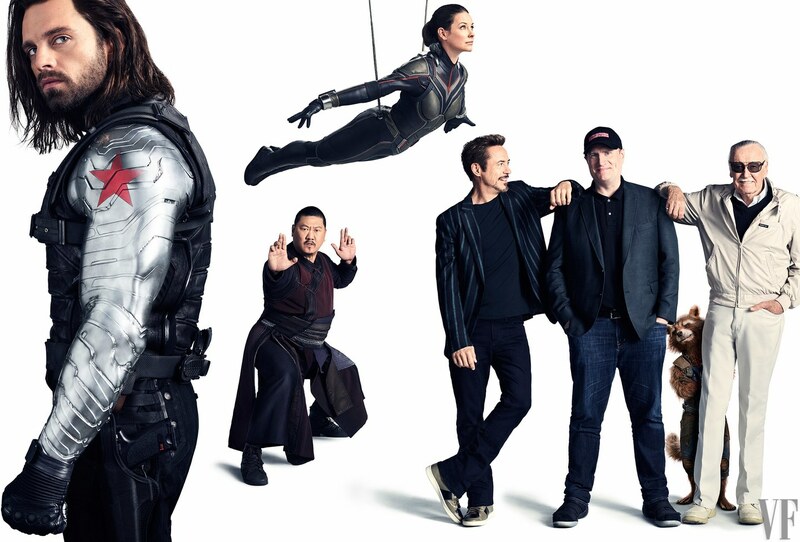 The issue celebrates Marvel Studios’ 10th anniversary and covers where the Marvel Cinematic Universe is headed. 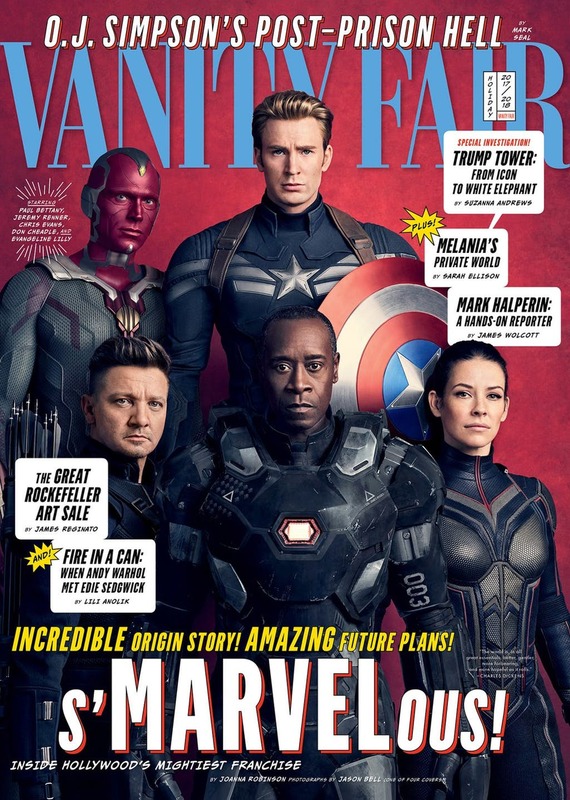 The covers, by photographer Jason Bell, features Anthony Mackie, Robert Downey Jr., Scarlette Johansson, Chris Hemsworth, Paul Bettany, Chris Evans, Jeremy Renner, Don Cheadle, Evangeline Lilly, Chadwick Boseman, Elizabeth Olsen, Mark Ruffalo, Paul Rudd, Gwyneth Paltrow, Chris Pratt, Tom Holland and Benedict Cumberbatch. 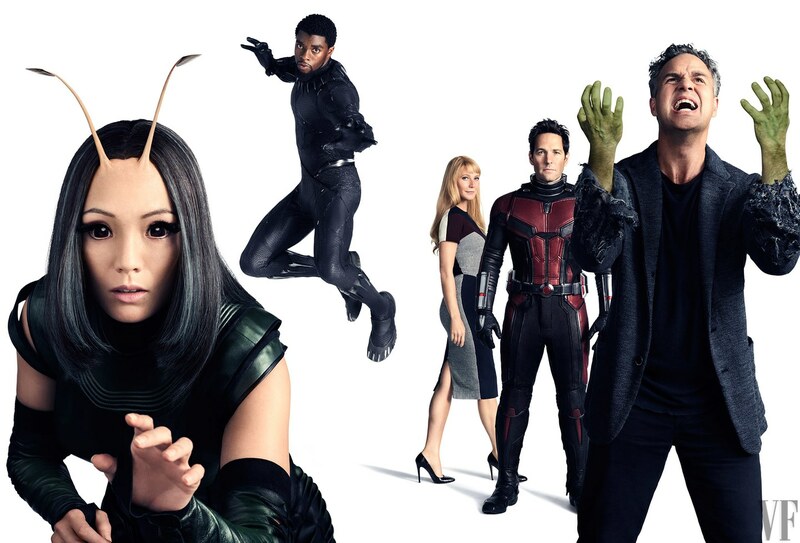 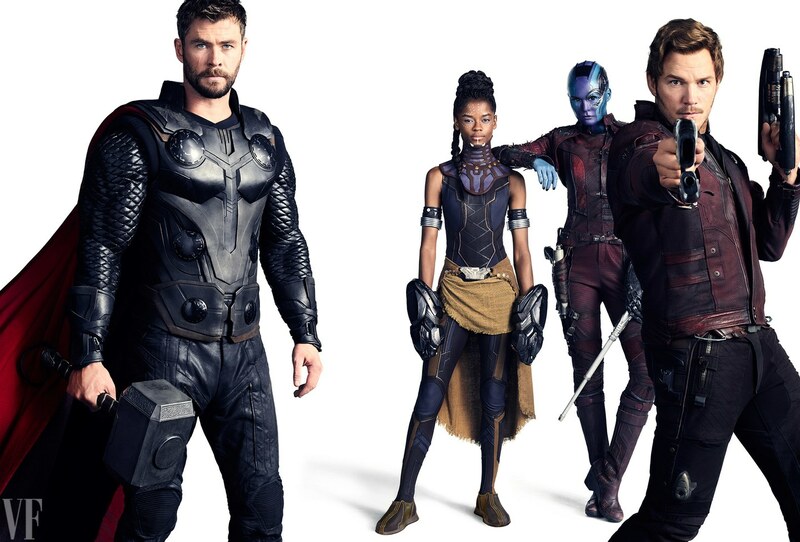 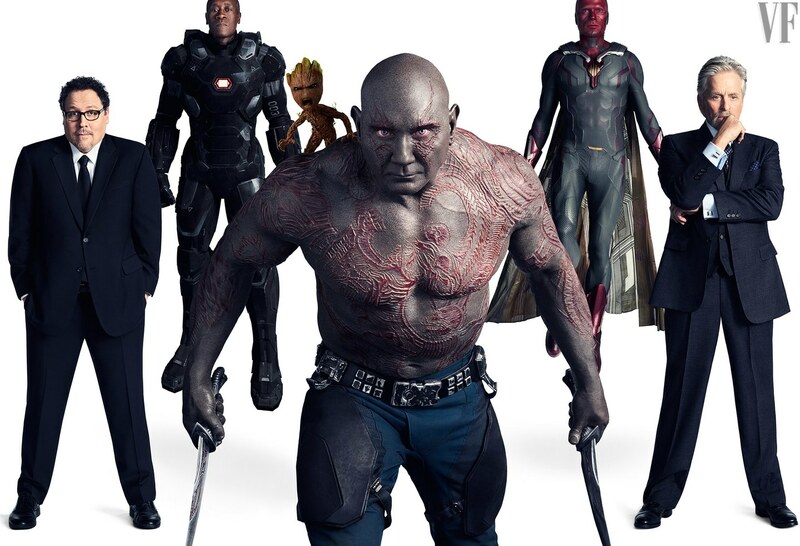 Interior images include Samuel L. Jackson, Danai Gurira, Letitia Wright, Karen Gillan, Jon Favreau, Baby Groot, Dave Bautista, Michael Douglas, Angela Bassett, Cobie Smulders, Linda Cardellini, Tessa Thompson, Zoe Saldana, Pom Klementieff, Sebastian Stan, Benedict Wong, Kevin Feige, Rocket Raccoon and Stan Lee.